Visit charming old Nanxiang — home of Shanghai’s ‘xiaolongbao’ steamed dumplings — on a private half-day tour from Shanghai, with an informative guide. 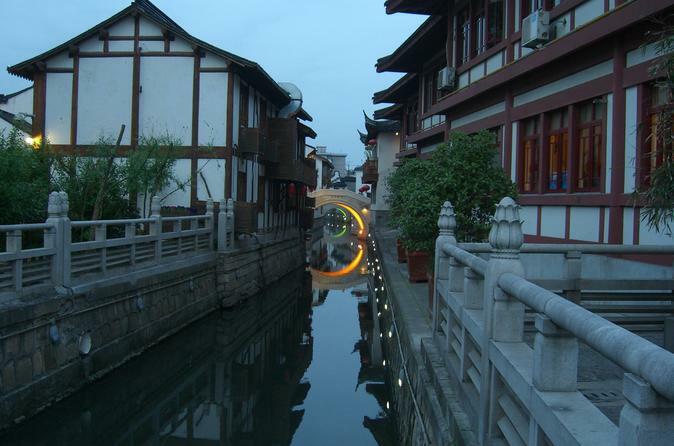 Travel to Nanxiang in northwest Shanghai, and learn how it was called ‘Silver Nanxiang’ for the silver coins of its trading past. Admire the pavilions and streams of the 16th-century Guyi Gardens, and explore the bustling downtown streets and waterways. Pass classical Chinese houses and dumpling stalls, and enjoy a delicious lunch centered on fresh, original Nanxiang 'xiaolongbao.'. Price is per group, based on a maximum of two people.